Body Solid, GVKR60, Vertical Knee Raise and Dip Available From Fitness Market In Louisville, KY. The fitness industry has changed quite a bit in the last 25 years. When Body-Solid, Inc was founded in 1989, neon spandex and “Body by Jake” were all the rage. Today, it’s all about high-intensity interval training, pull-up rigs and slam balls. Despite the industry changes, Body-Solid’s focus and directive has remained the same — provide value-priced fitness products to retailers, dealers and consumers across the world. Grounded by their motto “Built for Life” and an industry-leading lifetime warranty, Body-Solid has become a leading manufacturer and distributor of high-quality fitness equipment for both home and commercial use. Body-Solid boasts one of the widest arrays of products in the industry including multi-station gyms, free weight machines, treadmills, ellipticals, weight plates, kettlebells, dumbbell and accessories. Currently, Body-Solid products are sold in 44 states across the United States and 57 countries, with dealers from New Caledonia and Nicaragua all the way to Bahamas and Belgium. The company has also been instrumental in providing top-quality fitness equipment for hundreds of police and fire departments, military and government, sports teams, schools and universities, rehab and medical facilities and community fitness centers across the country and the world. This year, the Forest Park, IL-based company celebrates 25 years in business. 25 Years of dedication to providing the world with the best value in the fitness industry. BODY-SOLID - 25 YEARS STRONG. Body-Solid Inc. is a leading manufacturer and distributor of high quality fitness equipment for the home and commercial markets. With over 20 years of experience, Body-Solid offers one of the widest arrays of products in the industry including multi-station gyms, free weight machines, a complete line of cardiovascular products, weight plates, kettle bells, dumb bells and fitness accessories. Originally founded in 1989, Body-Solid has grown from its original 10,000 square foot warehouse to an over 200,000 square foot distribution facility and world wide head quarters, based just outside Chicago in Forest Park, Illinois. The Company sells its products in the United States, Canada, and over 100 other countries worldwide. Body-Solid’s dedication to quality craftsmanship, customer service and value has enabled it to develop a premier reputation within the fitness equipment industry. In particular, the company is known for its industry leading in-home life time warranty and its strong commercial warranties. 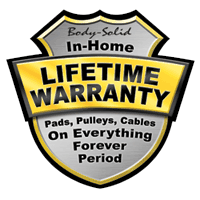 The majority of Body-Solid’s products are made in an ISO-9000 certified facility to exacting quality and performance specifications defined by the company and are supported by the best customer service in the business with highly trained service professionals dedicated to making Body-Solid purchases enjoyable experiences. Body-Solid Commercial Products are recognized to be the toughest and most reliable products in the commercial fitness marketplace. Our equipment is built to withstand the demands and abuses of multi-user environments. We offer the widest selection of commercial rated products in the industry. Whether you’re looking at creating a brand new facility, or adding on to your current fitness room, Body-Solid has the right equipment for you. What makes Body-Solid Commercial equipment different, beside the large selection of products we have to offer, is that our equipment is in stock ready to ship, no waiting period, no special orders, its ready when you are. Our products cover a wide range of applications, from space conscious multi-station gym systems, to individual single and dual purpose selectorized stations for larger higher use facilities. We offer a full line of leverage free weight stations and competition benches as well as bars, plates, dumb bells, racks and accessories. View some examples of our installations in our Markets Served section on this site, feel free to use our Wish List function to develop a quote or contact us directly and we can help you plan your fitness room or facility customized to your space and budget needs. Body Solid equipment is a great fit for apartments and condominiums, offering chains and independent owners great quality equipment with a great value. As today’s health and fitness awareness grows, it is important for apartment and condos to offer residents the ability to stick to their routines and get a great work out. Whether its space limitations, a tight budget, or just looking for great product, Body Solid manufactures a wide selection of high quality equipment to satisfy even the highest requirements. From space saving single and multi-stack gyms to cardio, benches and iron, Body Solid can complete every aspect of your fitness requirements. In today’s competitive market, buyers have many choices. Let Body Solid help you and your residents make that choice easier by offering quality fitness equipment in your apartment or condominium fitness room. Since 1989, Body Solid has been working with Community Fitness Centers with custom solutions to fit any size project or budget. From women’s only clubs to country clubs, Body Solid offers the widest array of products to create a safe, cost-effective environment for any fitness facility. Whether your customer base is focused on general health, recreation or sports specific activities, Body Solid products all maintain modern designs with heavy duty components for the hard-core users along with quality instructional aids for the novice members. Body Solid understands that fitness centers are challenged with rising operating costs and government regulations while meeting member expectations with innovative products and first-class service. With an ISO 9000 manufacturing facility, Body Solid continues to offer value , durability and the strongest warranties in the industry. Learn more about our fitness solutions for Fitness Centers by viewing our case studies or joining Club Body Solid. Companies continue to turn to Body Solid for their fitness solutions in creating the ideal health and wellness environment. In today’s high stress work environment, employers of all sizes are seeking solutions for employee retention, health related costs, absenteeism, productivity and company morale. By creating an ideal fitness environment, companies must have safety and convenience in mind when offering a fitness package to their employees. Body Solid can create the right space to suit the exercise needs of our workforce with the perfect balance of strength and cardio equipment. Whether you need a state-of –the-art corporate gym or a small freeweight area, Body Solid can help design a fitness offering that can suit your companies needs in at an affordable price. Group exercise has experienced huge growth in the Fitness Industry over the past 20 years.With built-in motivation from instructors and classmates, it is no wonder why fitness enthusiasts head straight for the group exercise classes at the gym.Having quality equipment is crucial for any group exercise class which makes Body Solid’s fitness products the perfect choice.From our high-tech indoor exercise bikes to fitness bars,Body Solid quality will not only retain your client base but help achieve their fitness goals . Body Solid continues to partner with Gyms, Personal Training Studios, Schools, and 24/7 Fitness Facilities to promote Group Exercise around the world.Our products are made with specifications to endure the toughest conditions in any kind of fitness facility. Body Solid has long been the premier source for gyms/clubs around the world. From iron/weights to single station leverage pieces, Body Solid is able to craft solutions to fit any size facility in any part of the world. Gym Owners can now source their equipment on one shipment from Body Solid’s world headquarters in Forest Park IL. By partnering with our small gym clients , Body Solid provides consulting and support services that are specially focused to their needs. Our team has extensive experience serving such gym clients as the U.S. Military branches, Russian Federation and 24/7 Fitness Facilities. Learn more about fitness solutions for small gyms by viewing our case studies or speaking to an area specialist. Body Solid equipment is a great fit for hotel and resort fitness facilities, offering hotel chains and independent owners great quality equipment with a great value. As today’s health and fitness awareness grows, it is important for hotels and resorts to offer travelers the ability to stick to their routines and get a great work out while away from home. Body Solid knows that there are many deciding factors in selecting equipment for hotel and resort fitness facilities and many of these factors make Body Solid equipment a hospitality industry standard. Body Solid understands the unique needs of military and government facilities. From remote locations to unique space requirements to limited resources and funding, Body Solid has been outfitting facilities for over 20 years, offering the most value at a budget friendly cost. Body Solid offers a wide variety of strength training products from benches to racks, single station to multi-station gyms, leverage to selectorized machines, heavy duty power racks to counter balanced smith machines, accessories, iron, a full line of cardio equipment, and much more. Be it a small facility in need of a functional trainer or bench or a full commercial gym in need of new equipment make Body Solid your preferred fitness partner. Body Solid fitness products are particularly well suited to personal trainers who understand and appreciate quality, biomechanically-correct equipment at an excellent value. As more and more individuals now turn to professionals to help them achieve their fitness goals, Body Solid understands the special needs of high value clients and has worked with personal trainers for over 20 years. Body Solid manufactures heavy duty equipment that performs movements the way the human body is supposed to work. Seeing the Body Solid brand lets clients know that you have invested in the best tools available to improve their fitness levels. The majority of training studios are operated by entrepreneurs requiring a strict budget. The Body Solid brand allows these entrepreneurs the ability to increase revenue and reduce monthly overhead. Let us become a partner with you in providing your clients the very best equipment and fitness knowledge to achieve their goals. Body-Solid knows how important it is for everyone to be in their best shape, but for Police & Fire departments across the country, lives are depending on it. Police and fire workout facilities need to have a good mix of both cardio and strength training equipment, and be able to accomodate a wide range of physical size and ability, from endurance users to muscular power-users. Body Solid provides the fast growing rehab and medical industry with comprehensive fitness products to fit any project, budget or customer base. From small independent doctors and rehabilitation facilities to large rehabilitation and medical facilities, Body Solid manufactures biomechanically correct, quality fitness products which set high standards for rehab and medical equipment. Whether your customers are focused on rehabilitation or over all wellness, Body Solid can provide fitness solutions that are perfect for their business. Body Solid fitness products are designed to move the way you move which makes them a perfect fit for patients and clientele of all ages, shapes, and sizes. When manufacturing fitness products for the medical and rehabilitation market Body Solid understands that the end goal is helping people feel better, get stronger, and live a fuller healthier life. Body Solid offers complete product solutions for Middle Schools, High Schools, Colleges and Universities. Offering a wide array of Strength Machines, Cardio Equipment, Fitness Accessories and Weights, Body Solid has the product to meet the needs of any scholastic facility. Scholastic applications need to be appealing and challenging to users of all kinds of fitness levels and experience. 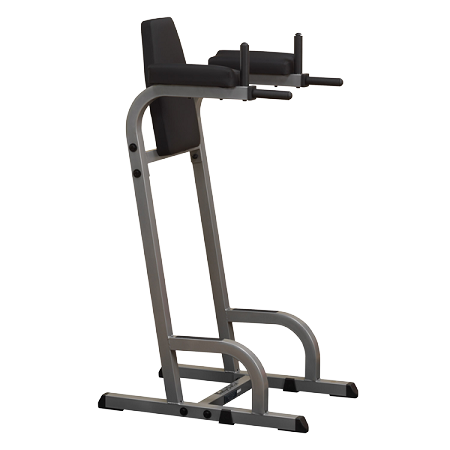 Body Solid’s diverse product array ensures a proper mix of quality fitness equipment for any educational facility. Quality, value, function and service are the reasons thousands of commercial facilities own Body Solid equipment. Body Solid has the experience, the knowledge and the products to make the most out of your fitness facility budget. Body Solid has always been the premier supplier to professional and collegiate sports teams. Our history with teams and athletes in all major professional sports along with top notch collegiate sports programs has put our products at the cutting edge of fitness technology. By partnering with coaches and trainers, Body Solid products create the ideal fitness environment for teams to compete and win at all competitive levels. From our selection of functional trainers to the Pro Club Leverage Line, Body Solid has the selection, durability and adjustability to cater to any size user under the most extreme conditions. After service has always been the foundation of the Body Solid line of products. Our warranties , backed up by our professional service staff, are the strongest in the industry. Learn more about our fitness solutions for sports teams by view our case studies or speaking with an area specialist. Learn more about our fitness solutions for corporations by view our case studies or speaking with one of our corporate wellness specialists. Body-Solid can create custom solutions for any business, organization or market. Talk to us about solutions for your specific needs!